When picking the right shed for you, there is another thing to think about; a site inspection. Site inspections happen after you choose a shed, and a Rick's Sheds inspector comes directly to you and where the shed will potentially be. 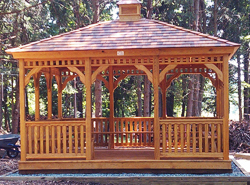 The site inspector then determines whether or not the shed you chose is suitable for the space. The goal of the site inspection is to get the shed and foundation to the land you want in one piece, so examining the ins and outs of the site is necessary in order to make this happen. 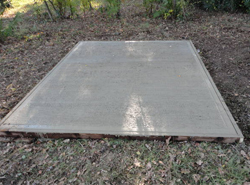 If the shed and/or foundation cannot fit into the space in one piece, there are other options that are determined on site. Therefore, it is suggested that you be there at the time of your site inspection. Knowing and seeing what will be happening with the installation of the foundation and shed is beneficialbecause this makes no room for a barrier between you and Rick's Sheds, and you have the opportunity to ask any questions before the shed is put into the space. 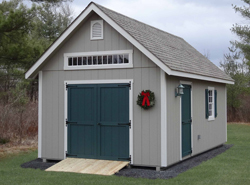 If by any chance the shed you chose is not able to go into the site, you will also be able to understand why by being present at the site inspection and find out what else Rick's Sheds has to offer that will fit. 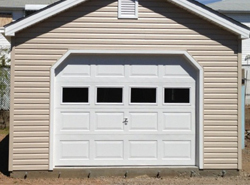 Choosing Rick's Sheds to provide you with a dependable shed is the first step towards having a long lasting and durable unit. 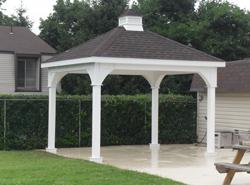 We stress the importance of foundations to protect your shed and your wallet from erosion down the road, and we personally assure you that the site you want your shed to be in is suitable. 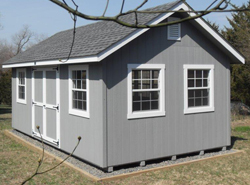 Always take the right precautions while in the process of adding a shed to your space, and chose Rick's Sheds to form the foundation that you need for your shed to be safe and resilient.